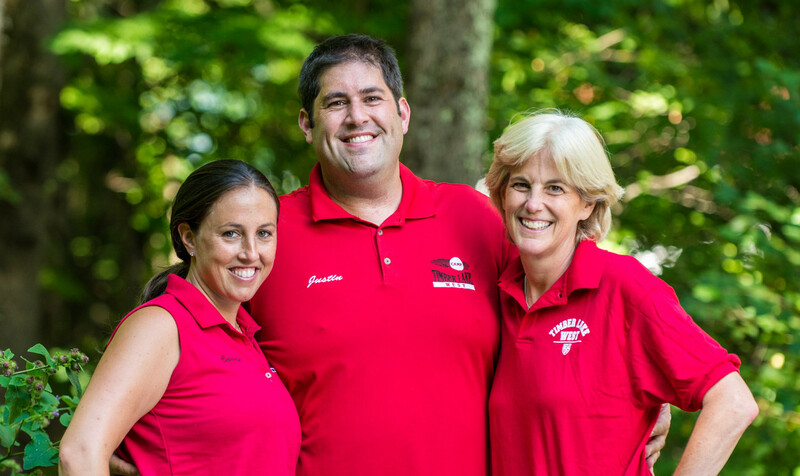 Camp spirit, tradition and continuous excitement keep our campers coming back year after year. 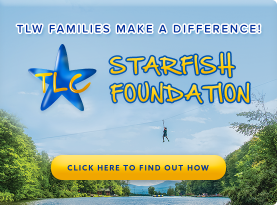 Weekly special events along with day trips out of camp are all designed to keep everyone enthusiastic about camp not just every day of the summer, but every year they come back. Every Wednesday is uniquely programmed for our entire campus. After a well-deserved later wake-up and breakfast on our campus, campers head out to a special morning of electives. The afternoon is a scheduled activity! Dinner is our famed barbecue and then a special evening activity finishes out the day. Each evening is filled with a fun activity. 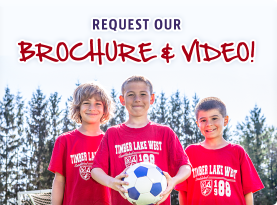 Whether it’s a “Broadway” production in our theatre, a campfire, masquerade social, outdoor games, contests or a late-night league game on one of our lighted courts, evening activities are among the best times of the day at Timber Lake West. Before bedtime, campers stop with friends at our Planet West Canteen, complete with snacks, Pop-a-Shot, ping pong, pool tables and air hockey. Toward the end of each session ends with our annual Red vs White Color War, pitting one half of the camp against the other in a variety of events for 4-5 days of fun competition. The highly anticipated moment at which the two teams are announced is called Breakout. Once Color War breaks, we compete in everything from spirit to sports to sportsmanship to trivia events! Color War ends with a deep-rooted tradition – Sing Night (an incredible night of costumes, songs, skits and dances.) Color War will be the most talked-about event of the summer as your child returns home to you and recounts his or her summer highlights.